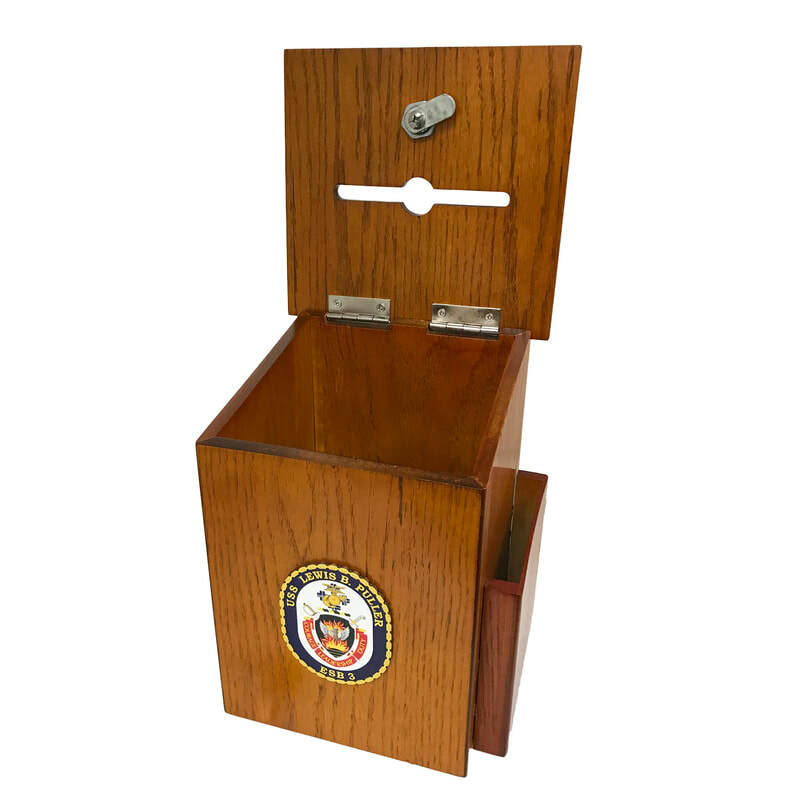 We can say with confidence that this is one of the absolute best comment or suggestion boxes in the advertising specialties industry, or for that matter, any industry. 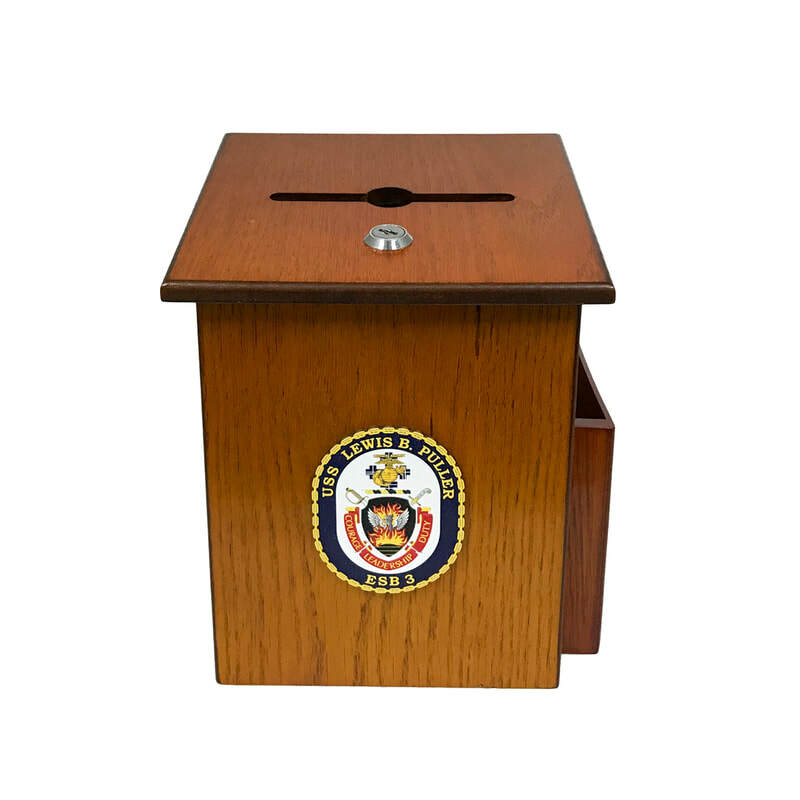 A lot of the other suggestion boxes are flimsy, or even made of faux wood or plastic. These boxes are solid OAK and weigh in at around 6 lbs. The dimensions are 6 3/4 x 9 7/8 size, and they can be customized via engraving or full color digital print. 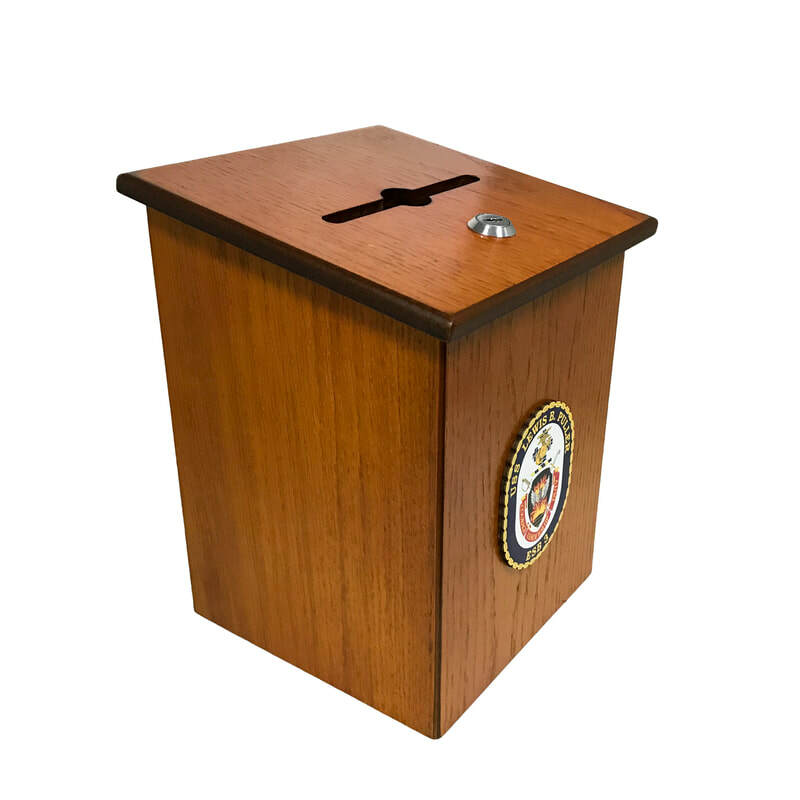 Just to give you an idea of how substantial these custom suggestion boxes are, our cost to ship to the last client, which was on the same coast as us, was $27. These boxes are the ones used in luxury golf clubs and restaurants. If you are looking for the absolute best and need to reproduce a logo perfectly, this is exactly what you need. 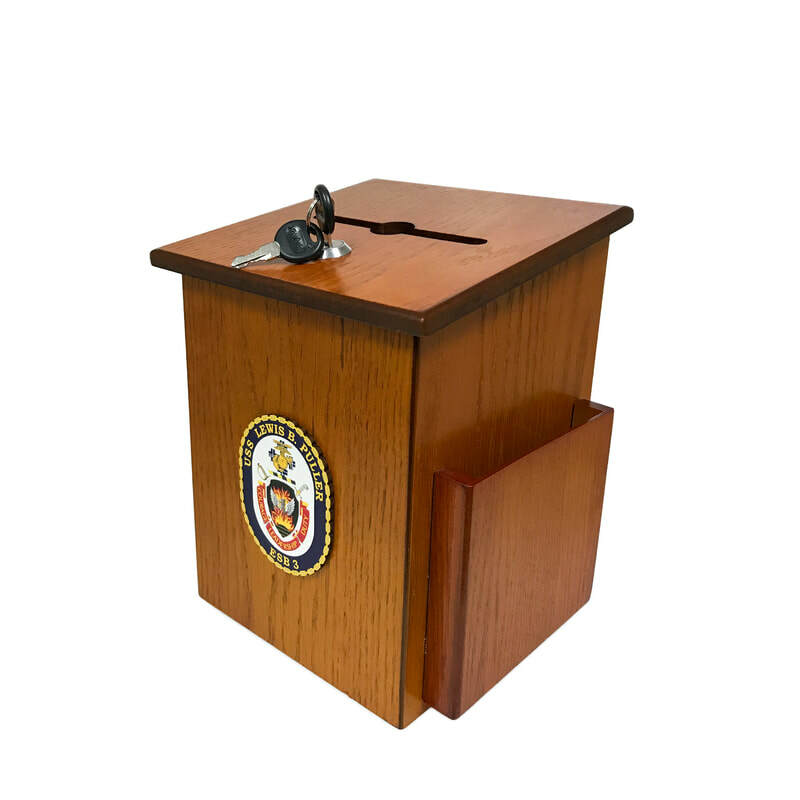 Scroll down to order these fantastic custom comment/suggestion boxes with your logo or crest. These are custom so we can imprint other areas if you don't like the front imprint...but MAN do these look good with the front imprint! Note: Contact us for large quantity discounts, as the savings are significant.